Safeway is sprucing up stores all over the city. In addition to the new Safewaycoming to Georgetown, the go-to D.C. grocery chain is planning similar overhauls at the Southwest Waterfront and Petworth. At the Waterfront, preliminary work is under way for the new store, which will go up behind the current building near the Metro. When completed in 2011, the old store will be demolished. And, much to the delight of the lunch-starved masses, it will have an enhanced deli with sandwiches made to order. Petworth’s store on Georgia Avenue NW will follow a model similar to what’s going on in Georgetown—a new, expanded store will go up where the existing store stands. That means the old store will close at some point. Also, parking will be moved below ground. The space occupied by the current parking lot will be added to the footprint of the new store, taking it from about 20,000 square feet to about 55,000 square feet. Safeway spokesman Craig Muckle says Petworth’s plans are not as far along as the Waterfront’s and hesitated to give a projected completion date. “I don’t have a good sense right now, but I’d say ballpark will be sometime in 2011. It won’t be next year, I can tell you that,” he says. Meanwhile, demo is slightly behind schedule at the Social Safeway, which closed last Sunday and will remain closed for nine or 10 months. Knock-down will happen “in the next couple of weeks,” says Muckle, who had previously stated it was going to happen right after the store closed. 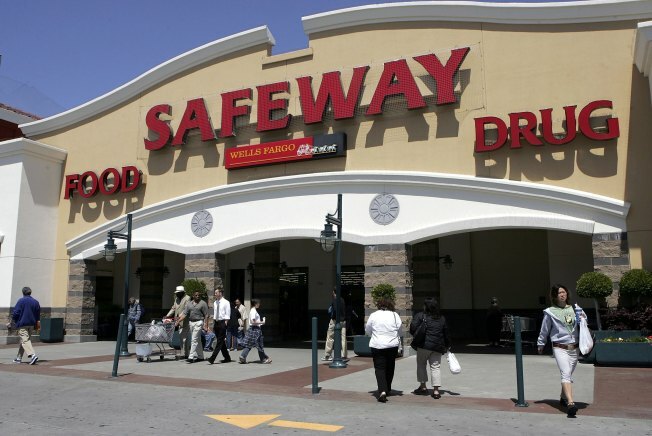 “I’m not going to call anybody out,” he says, on why it’s taking longer than planned, but added Safeway is going forward with an “aggressive” plan to open the new store by March 2010. Renovations are also coming to Columbia Road. Adams Morgan’s Safeway will stay open during its face lift. Despite the empty storefronts adjacent to the cramped store, there are no plans to expand. “We weren’t able to work anything out,” says Muckle.